Will winter weather damage the trampoline? It’s a question we get asked all the time. Even though we live in perpetually sunny Arizona, many of our trampolines and in-ground trampolines make their way to the snowy climates and their owners do wonder whether winter will damage or destroy the trampoline they’ve invested in. Many trampoline manufacturers say that a trampoline can be used year round and that inclement weather won’t harm it, but for those who live in harsh weather areas, you may want to take down and store your trampoline or you will at least want to cover it and protect it from the elements. If you don’t take it down, you will want to inspect it regularly and clear off any standing snow, ice or water to assure it doesn’t damage the mat or springs or cause mold growth. Snow falls can bury the trampoline under several feet of snow in a matter of days and that puts a lot of pressure and strain on the jumping mat. Even if you have covered the trampoline with a winter weather cover, the weight of the snow is no match for the mat. Trampoline owners who live in area of the country that deal with tornadoes, hurricanes or extreme wind storms — or monsoons like we have in Arizona — will want to use special care to protect their trampoline during times of extreme weather. An above ground trampoline can very easily become a dangerous flying object in the midst of a windstorm and can injure someone or damage property — not to mention destroy your trampoline! If you’re not going to remove your inground trampoline mat during the winter, pay special attention to it and clear off snow and standing water to protect it and keep it viable for the next trampoline season! 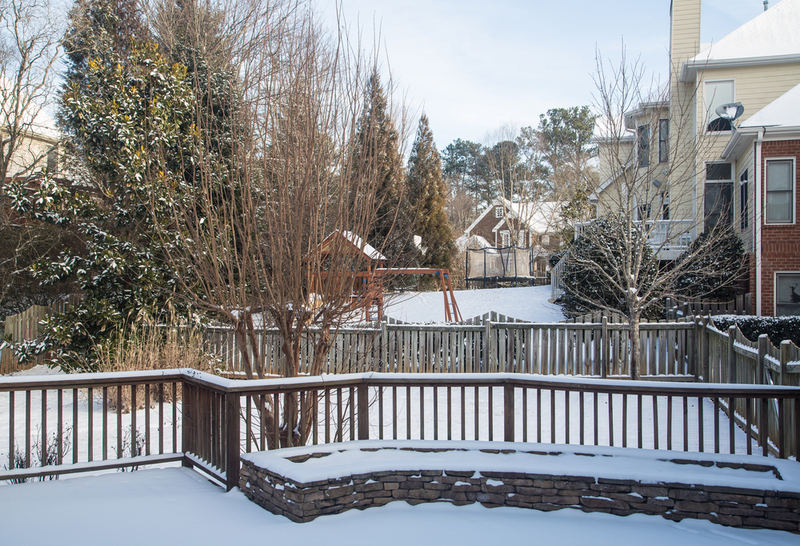 Call us if you have any questions about how to protect your trampoline during winter weather.